including the New York Philharmonic, Boston Symphony, Singapore Symphony, Hong Kong Sinfonietta, Russian Philharmonic, and Juilliard Orchestra. Ms. Law has performed throughout North America, appearing in such venues as Lincoln Center's Avery Fisher Hall and Alice Tully Hall, Weill Recital Hall at Carnegie Hall, the J.F. Kennedy Center, Washington, D.C. and Jordan Hall, Boston. 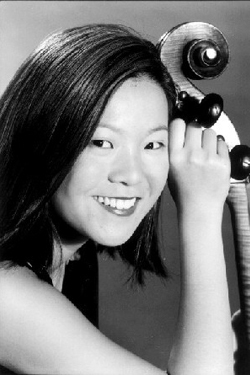 An active chamber musician, she has collaborated with the Borromeo String Quartet, Yo-Yo Ma and Pamela Frank among others. A proponent of the interdisciplinary arts, Ms. Law collaborates with artists from other genres. 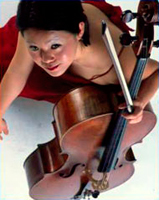 Past collaborations of note include performances of the Bach Cello Suites with the Juilliard Dance Ensemble choreographed by Igal Perry, Mark Morris Dance Group, VisionIntoArt, and performances in the thematic interdisciplinary series "Voyage To The Exotics" (a series created and founded by Ms. Law in 2002). In recent seasons, Ms. Law was invited by the office of the UN Secretary General to perform at the General Assembly of the United Nations in a memorial ceremony for the UN staff and family members of those who lost their lives in the attack on the UN compound in Baghdad, Iraq. 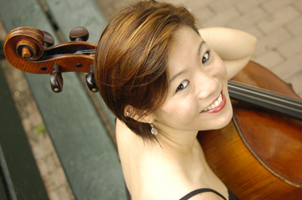 By the invitation of the "Association of Performing Arts Presenters", Ms. Law was showcased in Weill Recital Hall at Carnegie Hall.Other recent appearances include New York’s Bargemusic, Chicago’s Dame Myra Hess Concert Series, and at the Caramoor and Marlboro music festivals. 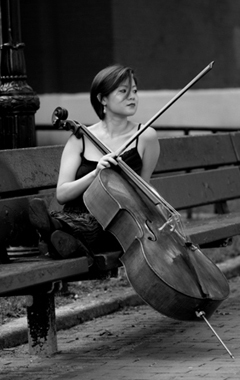 A regular touring artist, Ms. Law has toured with “Musicians From Marlboro" and performed internationally in Hong Kong, Taiwan, Singapore, Argentina, Chile, and Canada. Ms. Law has appeared on television and radio. In 2003, Ms. Law was featured on Japan's NHK TV documentary series "New York Streets," which was broadcast nationwide. She has also appeared on PBS TV's documentary broadcast on the New England Conservatory Youth Philharmonic Orchestra's tour of Chile and Argentina, of which Ms. Law was the featured soloist. 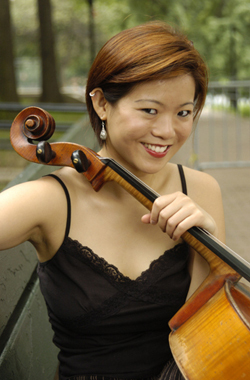 She performed at Boston's WGBH Radio and at Hong Kong's radio station. Ms. Law has recorded Wing-Fai Law's "Phantasm" with the Russian Philharmonic Orchestra for the Hugo label. 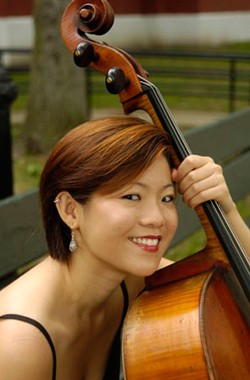 Ms. Law began her cello studies with Ge Wu at the Hong Kong Academy of the Arts. At the age of 12, she moved to the US to study with Mark Churchill at Boston’s New England Conservatory Preparatory School as well as the Walnut Hill School. Ms. Law received her Bachelor of Music with Distinction from the New England Conservatory with Laurence Lesser, and her Master of Music and the prestigious Artist Diploma Program from The Juilliard School, where she studied with Joel Krosnick and Tim Eddy.